Jacob’s Catering provides fresh quality food at competitive prices, made to order on the premises. We have been providing catering in the Gravesend, Dartford and Medway area of Kent since 2006. Where possible we like to use local suppliers for our ingredients. Please feel free to view our Menus including our delicious Cake and Dessert Menu . We hope that our extensive Shop Menu will entice you in for a coffee and something to eat. Jacob’s can be found at – 4, Railway Place, Gravesend. Further assistance can be seen on the Location page. 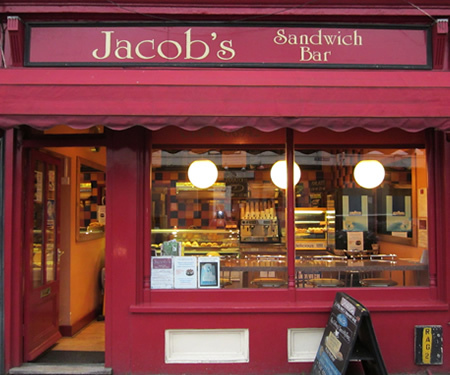 Jacob’s can be contacted by telephone or email and of course by visiting our coffee shop and Sandwich Bar.